Welcome back to work after the holiday break! You may or may not have noticed Kingsgate transitioned our brand tagline, updating it to “Ship Confidently with Kingsgate,” instead of our previous “Move Confidently with Kingsgate.” I wanted to take some time to explain this change. 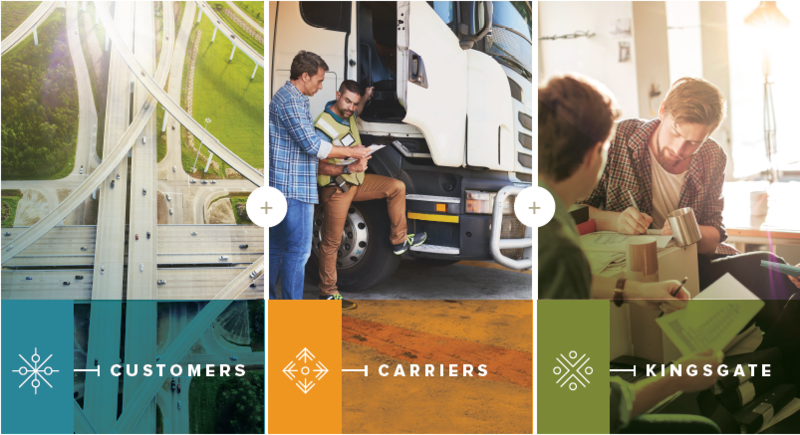 When Kingsgate initially launched our rebrand in 2017, one of the consistent themes was that we were in the business of “movement.” We were moving freight and we were moving trucks, but to our customers, we were handling their shipping needs and the safeguarding of their freight. To reflect that, ownership made the decision we needed to change our tagline to “ship confidently,” rather than “move confidently.” This all leads back to Kingsgate’s ability to be restless and our willingness to change and adapt to the needs of our customers. Still, Kingsgate is in the business of shipping. We find ways for businesses to move goods faster, safer and smarter, finely tuning supply chains with every new shipment that’s initiated. With over 30 years of experience, the longevity of our relationships with our customers and carriers is the backbone of our business. Our partners know that when we make a commitment, there’s no stopping us in seeing it through. No matter the challenge or the roadblocks that stand in the way, Kingsgate has their back.